Photographer Shawn Connell spent several years photographing at owl sanctuaries and rehab facilities throughout North America. 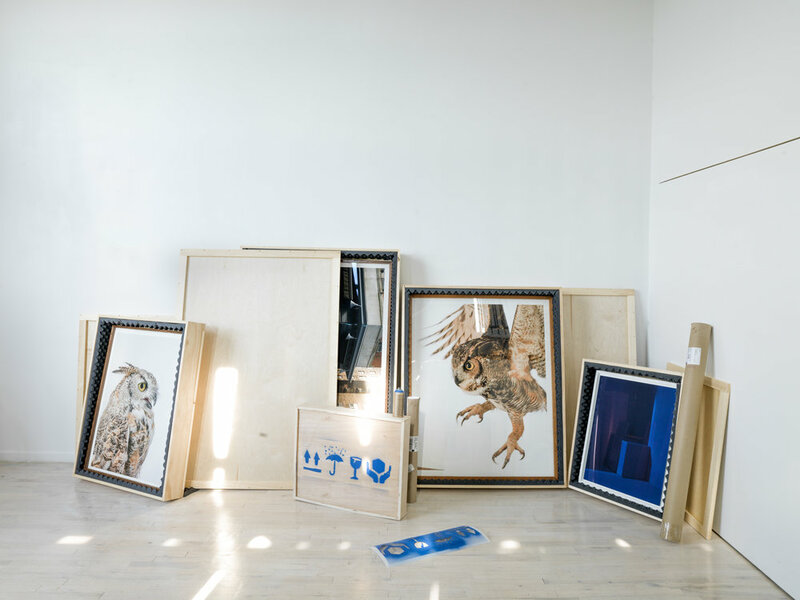 Since the subjects are “education birds” – non-releasable to the wild due to injury or illness – their familiarity with human contact allowed the artist to gain a deeper connection. Influenced by the beauty and diversity seen in the faces of owls, these portraits shot with a digital Hasselblad camera showcase every detail of the feathers, eyes, and beaks, allowing for unparalleled intimacy with each bird.